The earnest-looking young man in the picture below is Max Twentier—the founder of TabBand. The photo was taken in Zearing, Iowa, shortly before Max headed off to the army in World War II. He fought in North Africa and Italy before being wounded badly enough that he was retired in 1944. That's when he built a thriving insignia ring company, sold insurance to anyone who would stand still for his pitch, and then sold another company's hospital identification bracelets. Max Twentier always had a better idea, so he launched this company in 1962 and it's still going strong. We haven't forgotten how it all started. You may have noticed we've named our premier animal identification band the TabBand Max after the man who made it all possible. In 1998 Mike Ferring joined TabBand and became part owner. 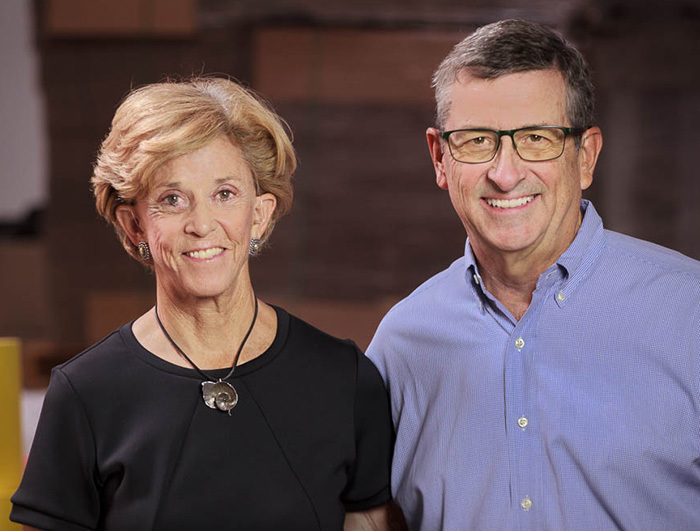 In 2010, Mike and Maryellen Ferring purchased the company, which is now called Ampro Group LLC. The two also own UpSell Training, a sales and customer service training company, which we hope helps explain the excellent service you'll receive at TabBand.